Small blade weapon used for personal protection. 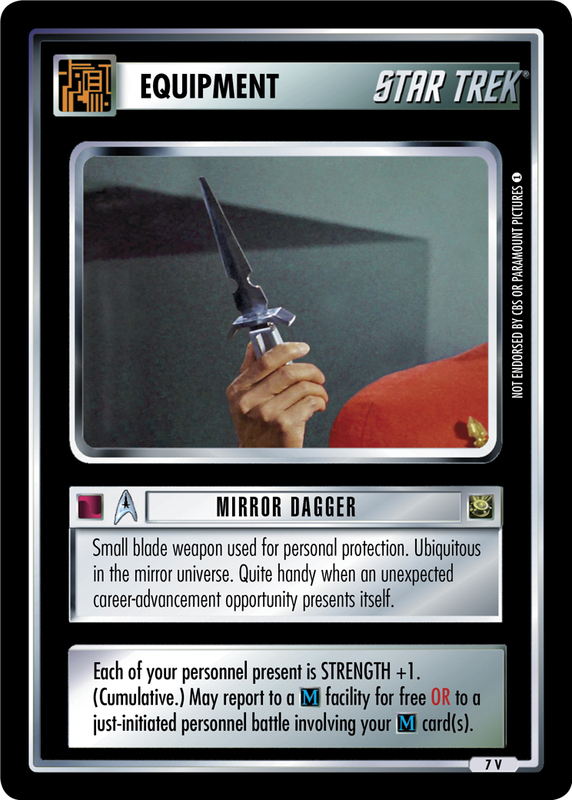 Ubiquitous in the mirror universe. Quite handy when an unexpected career-advancement opportunity presents itself. Each of your personnel present is STRENGTH +1. (Cumulative.) May report to a facility for free OR to a just-initiated personnel battle involving your card(s).